There are so many things about this video that just look like an accident waiting to happen — the rusty old cable, the high-speed slide across it with bare hands, the wooden bosun chair type things that are then just dropped, landing in a field — that it made our palms sweat just watching. But these two guys pull it off, B.A.S.E. 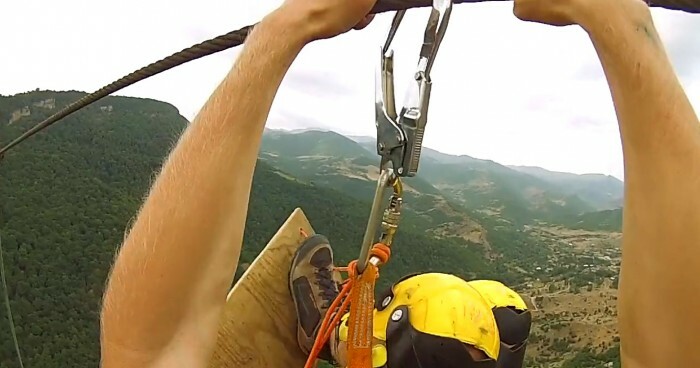 jumping off a gnarly old cable high above a valley in Nagorno-Karabakh, a landlocked region in the South Caucasus recognized internationally as part of Azerbaijan. 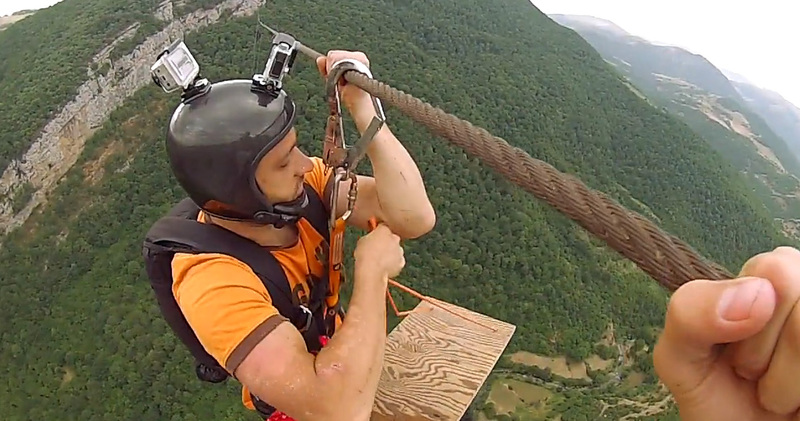 They come out of the adventure with some skinned up arms and big smiles, but the video is nerve-wracking to the max.